We all know Havana is the capital of Cuba, a metropolitan hub of tourists, beautiful buildings and classic vintage cars. 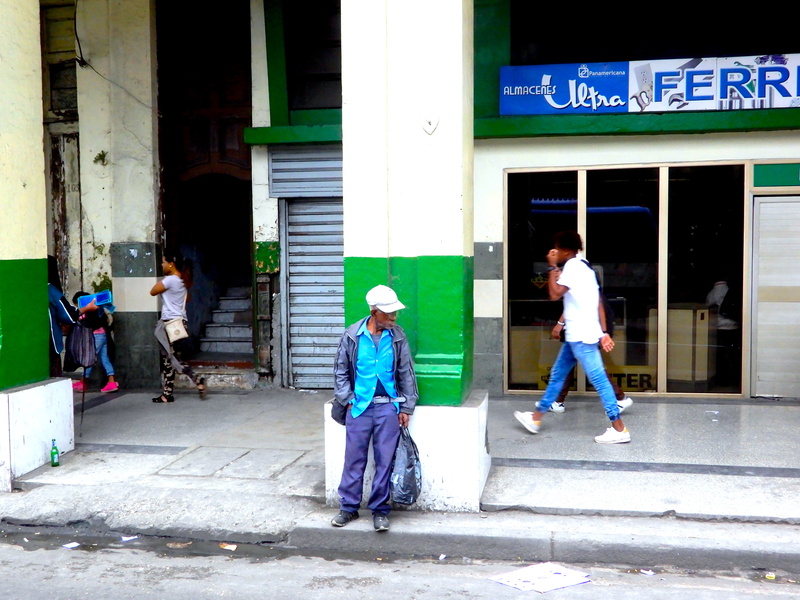 Havana is bustling and busy with interesting sights on every turn. To go to Cuba and not visit Havana would be a crime, but there is certainly more to Cuba than Havana, so I would suggest spreading your time so that you get to see a few different parts of the island. Photography buffs will be in heaven in Havana and Cuba in general as there’s never a dull moment. The modern seeps through the vintage, the energy is high and salsa swirls around the sounds of heavy baselines coming from the back street in the evenings. The London of Cuba perhaps – bright lights, fast cars, bars, clubs and restaurants, a tourist hub that never seems to sleep. Havana is about as individual as you can get, it doesn’t seek to conform to any forced image, it is comfortable in itself with a take it or leave it vibe. Dinner at this little restaurant – humbly and locally run. The waitress that served us really made me laugh – after she put the change down on the table following payment, I was looking at the change (eyeing up the notes to inspect whether it was right) when she came swiftly back to the table and pretty much grabbed the saucer out of my hand whilst smiling broadly and nodding at me – I was still seated at the table finishing my drink but she wasn’t going to let me put any of that change back in my purse, that’s for sure. If there was an oscar for boldness I’d have given it to that waitress, though I probably wouldn’t have laughed if this had happened in the UK (just being honest). Cubans don’t really do ‘bland’, colour and decor is injected into everything. Ironically, our tour group had a lunch in this private room in a Havana restaurant (I forget the name) after a quick salsa lesson, note the clocks on the wall. We ate in a room where time stands still, whilst applying the same sentiment to Cuba itself – a place where time appears to have stood still in many ways; a visit to Cuba feels very much like stepping back in time. Another restaurant we sampled was the El Tocororo restaurant, probably one of the quirkiest restaurants I’ve ever been in, with walls covered in hand written messages on plaques and retro furniture all over the place. Old Havana is especially known for it’s striking architecture, historical monuments and has been declared to be a world national heritage site. Cuba’s architecture stands tall, proud and vibrant – just like its people. With every turn I’d see something eye-catching, interesting or photo-worthy. Havana’s oldest plaza full of restaurants and activity. I think this little guy got himself an official security job. Pictures taken whilst speeding by the Malecon – the pictures speak for themselves in terms of the weather and the mood of the sky at the time. I am thoroughly enjoying your Cuba posts. Having been many times, I recognize many of the scenes. Looks an amazing place to visit. Love the waitress story. Habana Vieja is such a wonderful place for a stroll. It’s a unique place. Thanks for reviving my memories of it. Thanks for your comment on my blog. Thought I would check out your journey in Cuba. I especially love the photo of the orange cat in front of the green door. The colors are beautiful….as is Havana. I hope to get back to see more of the island in the future. Great post by the way! Interesting post, Cheryl. A pity that many of the photos were blurry! Have you been to Cuba Suzanne?